You may have tried meditation before and been overwhelmed or just confused. Not any more, I'm happy to tell you. This eCourse (Just 17 short lessons) is delivered in bite-sized manageable chunks in just under a month. And I've fine tuned it with feedback from previous participants so that you have everything you'll need to practice an effective meditation. All parts are introduced in easy to understand language (almost conversational, you could say) and are sent either every day (for theory) or every other day (for your practical work). 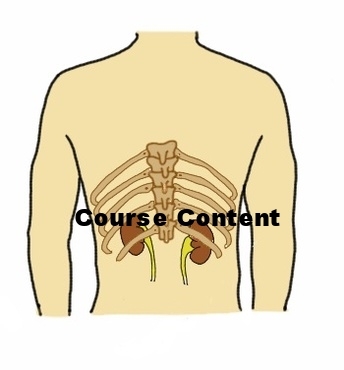 Through simple diagrams and explanations you'll learn where your internal organs are and what their basic functions are. Once you have a solid, effortless grounding in the basic theory (don't worry, it's not hard to understand) you'll learn an easy awareness meditation through guided audio. Then you'll progress through the vital organ meditations, which are also guided. You'll see how to customise your practice so that you can meditate for 10 minutes (if you're short on time) or an hour if you like. You can easily combine the various audio files to suit your practice perfectly. Reading the email lessons on 5 element theory and Classical vs Traditional Chinese Medicine (you mean you didn't know there was a difference?) will make the reasons for practising clearer and give you a great understanding of why the Inner Smile meditation is so revered in China. You'll learn how the internal organs are connected to the emotions and how the Inner Smile will balance your energy system by purging the negative and enhancing the positive energy. A unique email address is given to you which let's you get directly in contact with me, just in case you have any questions. At the end of the eCourse I'll provide download links for all the audio files (just in case you lose them or delete them by accident) and you'll also get a beautifully formatted eBook (PDF format) with every lesson in it that can be read on all your devices: Laptops, tablets, smart-phones or desktop PCs. And each lesson is indexed and clickable for fast access. The audio files are in MP3 format which means you can play them on your computer, your phone, your tablet, laptop and even burn them to a CD if you want. When you sign up, you'll receive a welcome email and very soon after that your very first lesson! Finally, I'm so confident that you'll be happy with your purchase that the course is backed by my 100% Money Back Guarantee (see below). "The only thing I ask is that you try out the practices for 60 days and at the end of that period if you're not satisfied for any reason at all, I'll refund your money in full, with no quibble"
"It’s difficult to give feedback on your Tai Chi and DME courses without resorting to superlatives and then you confound me by introducing another element that makes further improvement. You manage to combine professionalism, humour and patience into a safe learning environment for a subject that is beneficial in both the physical and spiritual senses." I wasn't sure what to expect to be honest, and having done quite a bit of meditation (based on Buddhist meditation practice and more recently Mindfulness meditation) I was unsure whether I'd take to this. I needn't have worried. I found the emails both informative and accessible, the guided meditations have a very calming effect, and you were extremely helpful when I got stuck due to my limited knowledge of IT! If I were reviewing this on Amazon I'd give it 5 stars. Thank you Mike, I've thoroughly enjoyed the course and intend to keep up my practice.